Experimentation and research, in the vineyards and in the cellar, are expressions of the tendency towards total quality that we find today in this year’s Leone d’Almerita. The great size of the Regaleali Estate and the crucial overnight thermal experimentation and research, in the vineyards and in the cellar, are expressions of the estate’s tendency towards total high quality. The great size of the Regaleali Estate and the crucial overnight thermal excursion of more than 15°C makes it possible to choose which varieties to plant, while ensuring the conservation of the aromatic qualities of the grapes. 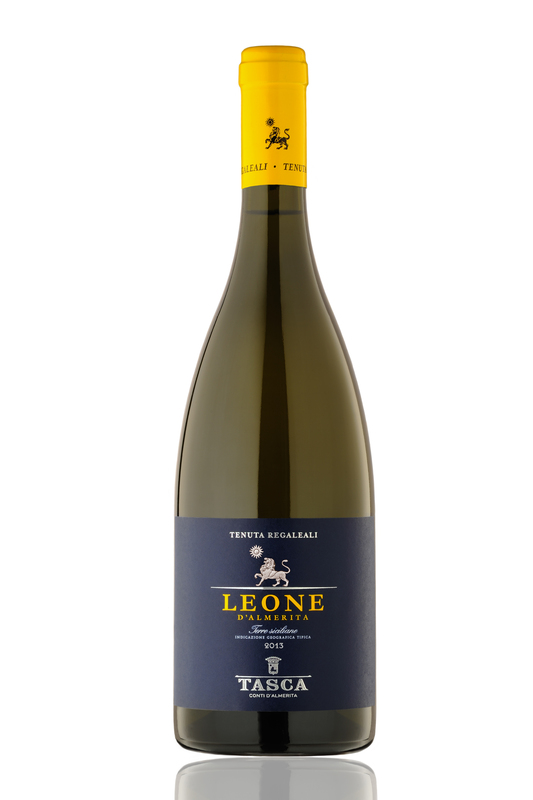 This is how the new Leone d’Almerita was born – fresh, with an aromatic taste and a clear personality, which combines the aromas and fragrances of Catarratto Bianco and the smoothness of Chardonnay. Regaleali, a white wine, of quality and with character made from a blend of 43% Grecanico, 23% Catarratto, 22% Inzolia, and 12% Chardonnay grapes, of rare balance and versatility. The first wine produced by the Counts of Tasca d’Almerita on the Regaleali Estate. This is their best known wine and most widely distributed. Today with an even more essential and refined label. Regaleali has been in fashion now for more than forty years, and is the fruit of on-going research and investment. A classic with an attentive eye towards the future. Lamùri (or we could say, reasons of the heart). The history of Tasca d’Almerita is the history of a family, it tells the story of people, passion and projects. 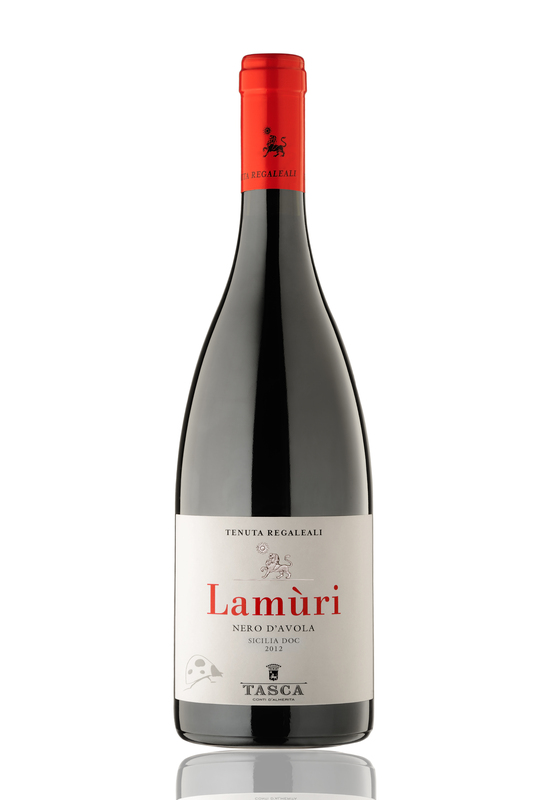 Projects like growing Nero d’Avola, which long ago sunk its roots in the hills of Regaleali. The composition of the soil and a unique micro-climate are the substances of this terrain, passed on to the ancient vines, combining freshness and elegance with the natural richness of Sicilian wines. The experiments of the Regaleali Estate with the most famous international red wines has led to the creation of an outstanding Cabernet Sauvignon, vinified in purity. A label which has focused the entire world’s attention on Sicily’s extraordinary but still little-known potential of creating truly important wines. Exceptional red wine, winner of several awards in Italy and abroad. A cosmopolitan.